The Jiggens Memorial Village Hall and Playing Field is a Registered Charity. It is currently under the management of Ixworth and Ixworth Thorpe Parish Council. The constitution was set up to provide an asset for the use and enjoyment of all villagers. To retain the ability to do this we need to balance the income from hiring the facilities with donations and other activities. 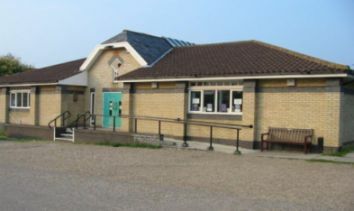 Residents can also support the Village Hall by using the recycling facilities in the car park. Bring your glass, clothing, newspapers and tetrapak along to the recycling bins. The Village Hall is available for dances, private parties, weddings, Christenings, funerals and business meetings. The hall can also be booked on a regular basis for clubs and organisations. Click here to find out more information about some of these groups. There are a variety of rooms available including the Main Hall that holds up to 200 people, the Cousins Room for up to 180 people and the Bar Area that will hold up to 50 people for smaller functions.